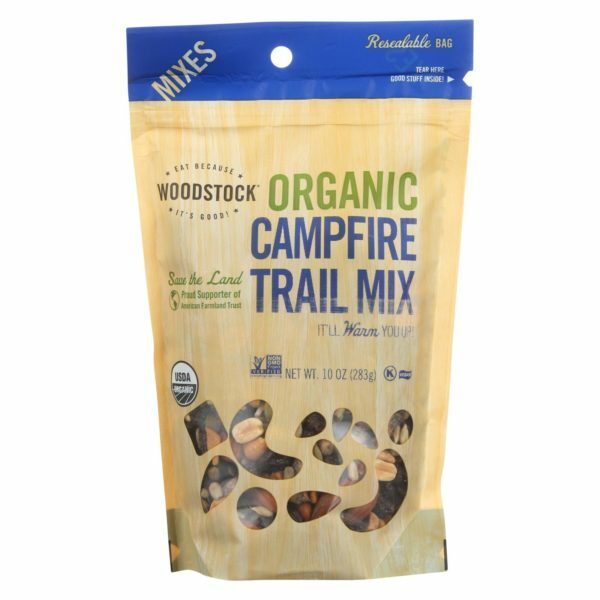 Woodstock Organic Campfire Trail Snack Mix is music to your taste buds. This scrumptious blend of organic raisins, sunflower seeds, peanut, dates, pumpkin seeds, almonds and apples has something for everyone. Slightly sweet, nutty, crunchy, and chewy it s the perfect portable camping companion. Nutritionally balanced for snacking valiance. Includes one 10 Oz. bag of Woodstock Organic sunset trail mix. See nutrition fact panel for allergens.